When your little one is ready for more than a dinner­time sip, this Trainer Straw Cup, which holds up to 230ml, comes in handy. The soft silicone straw is really easy to drink through, so little hands don't have to tip the cup so far to drink from it. 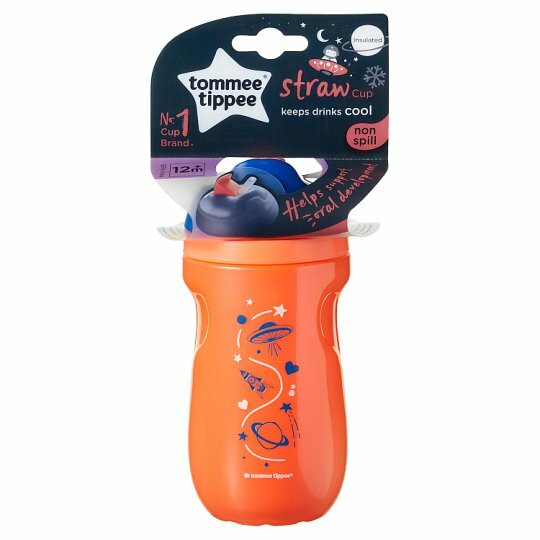 The straw flips down to stay clean and prevent spills - handy when you're out and about or want to avoid mess at home. The soft straw on this cup is smooth and gentle on gums, even when your baby is teething. We're gentle on you too: all our cups are dishwasher safe (on the top shelf), can be sterilised in the microwave, and have interchangeable parts.